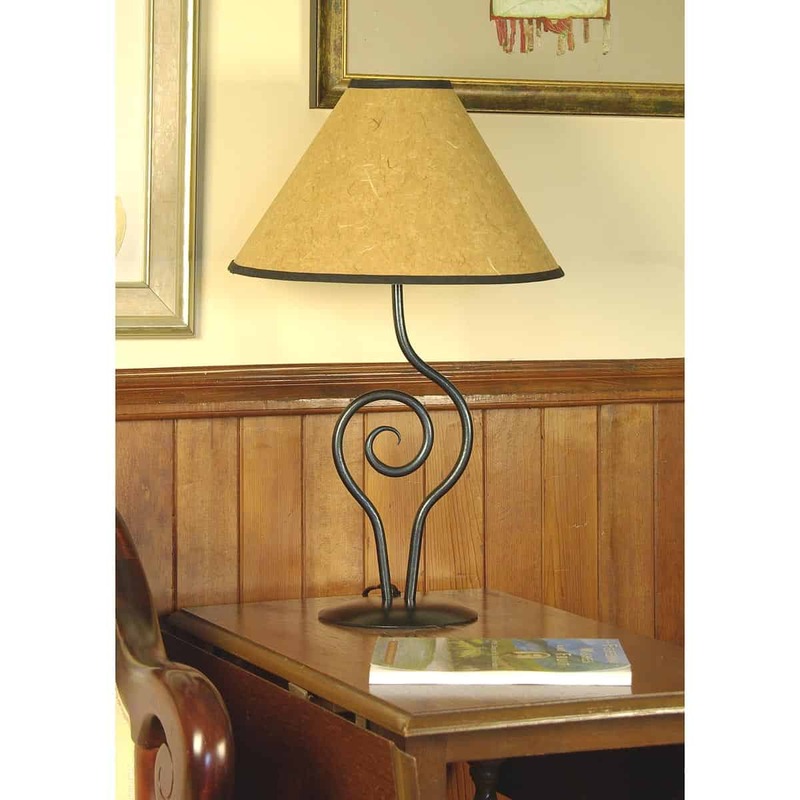 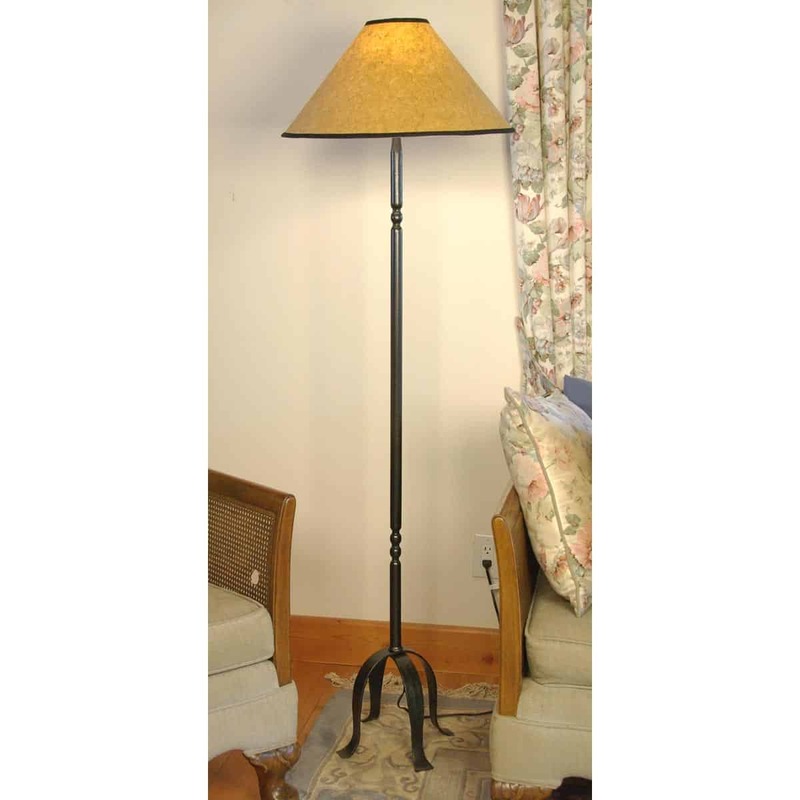 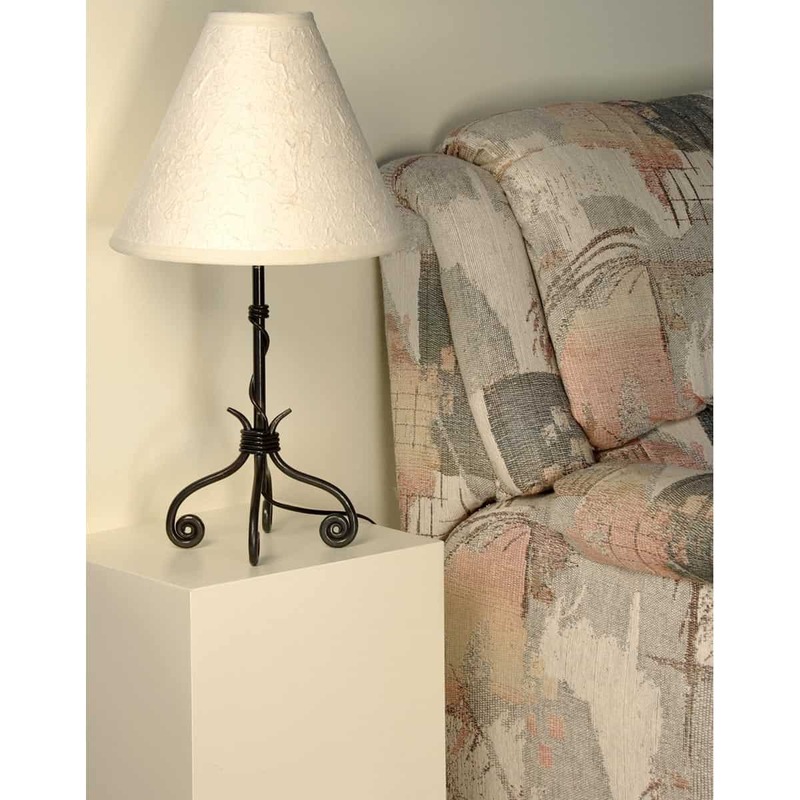 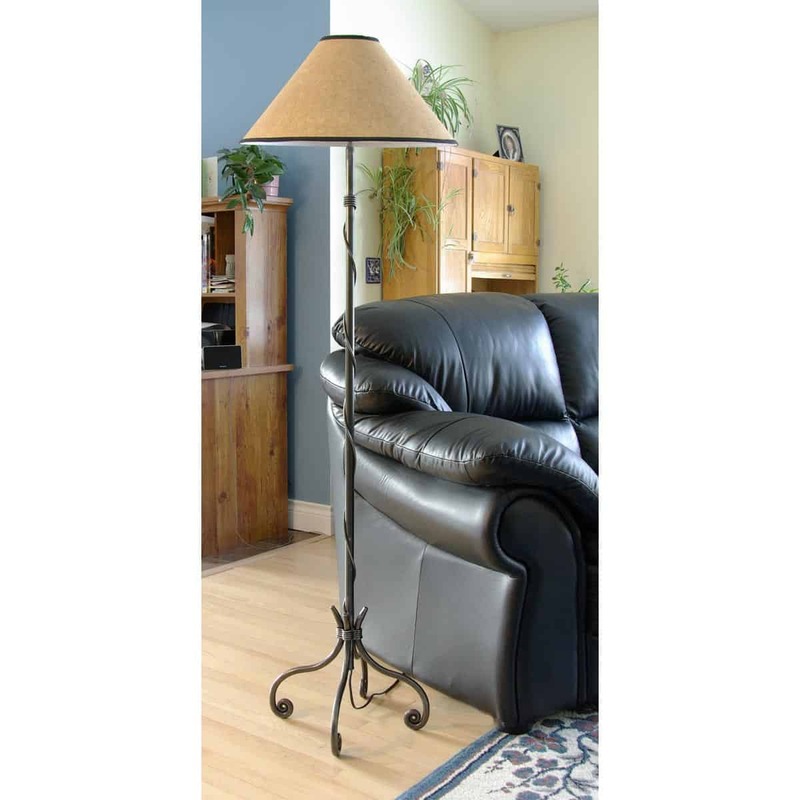 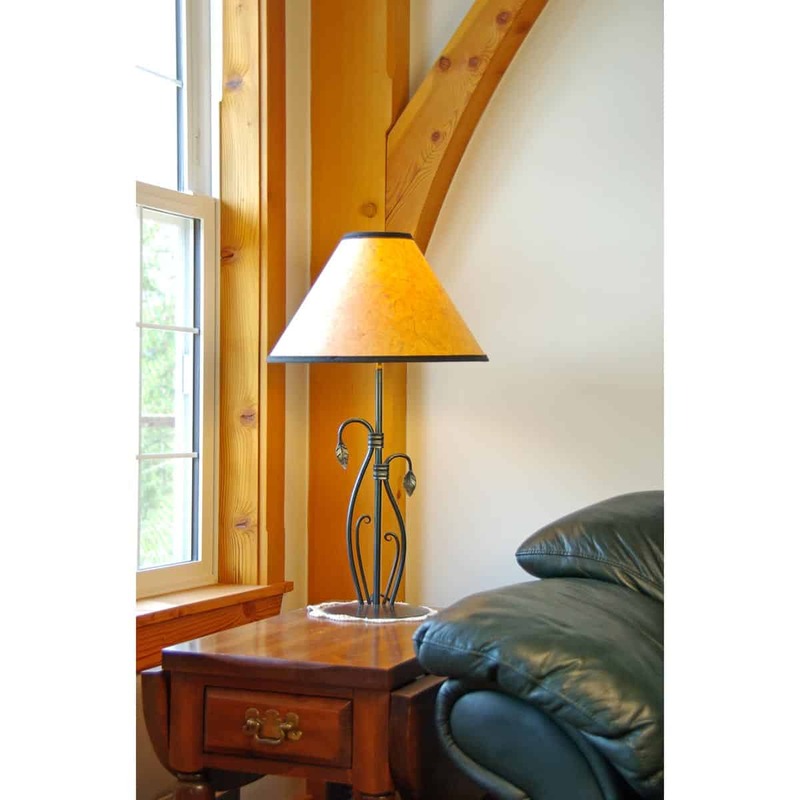 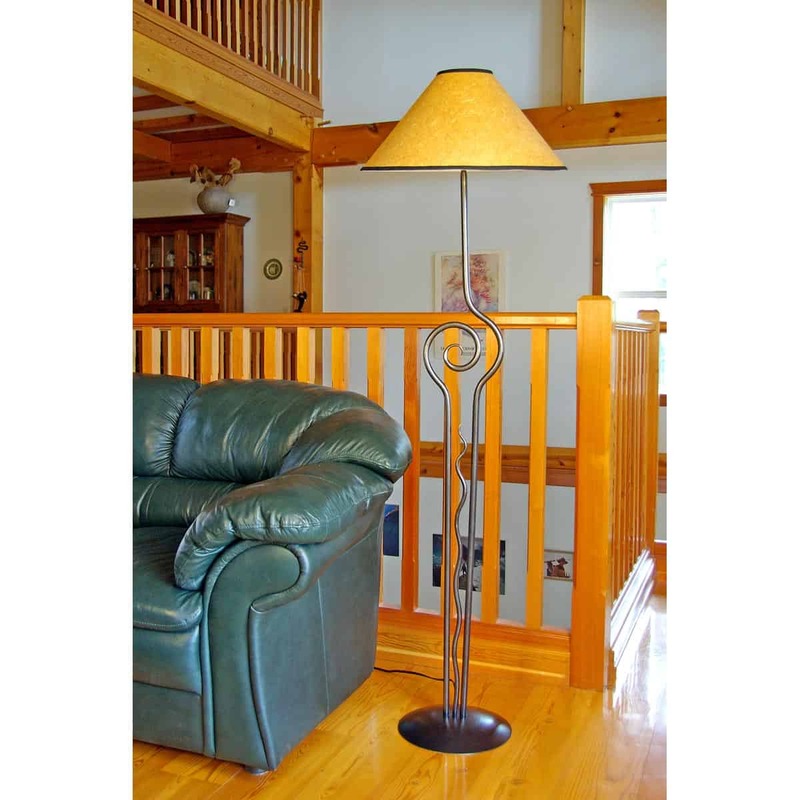 Our portable lamps (table lamps, bedside lamps, floor lamps) in wrought iron come in several styles and sizes, and are all approved to CSA standards for Canada and USA. 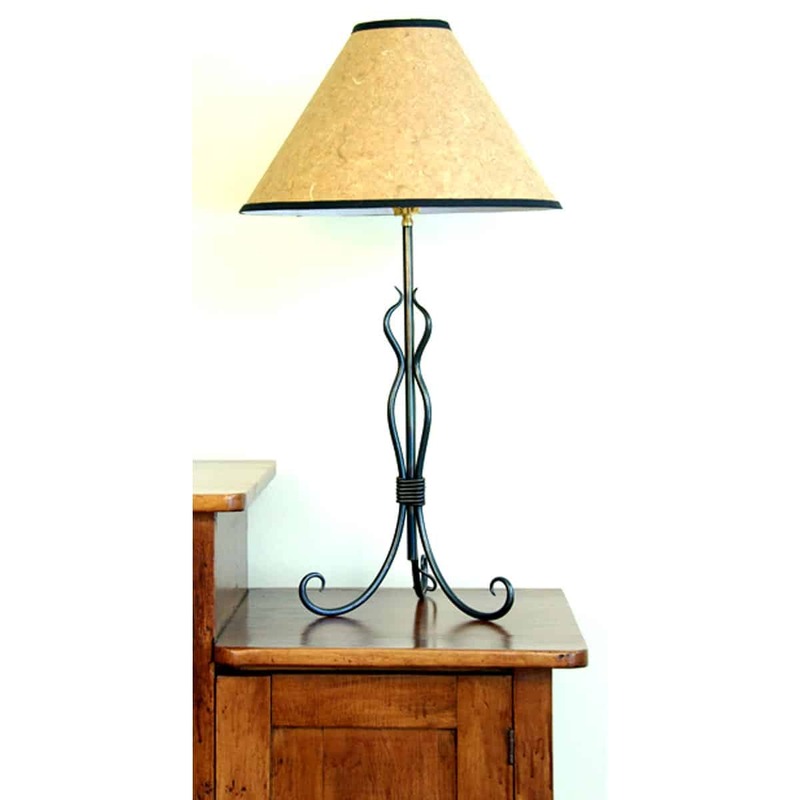 Our lampshades have been carefully chosen to compliment our lamps – simple, natural and interesting, and not the sort of lampshades you would find every day. 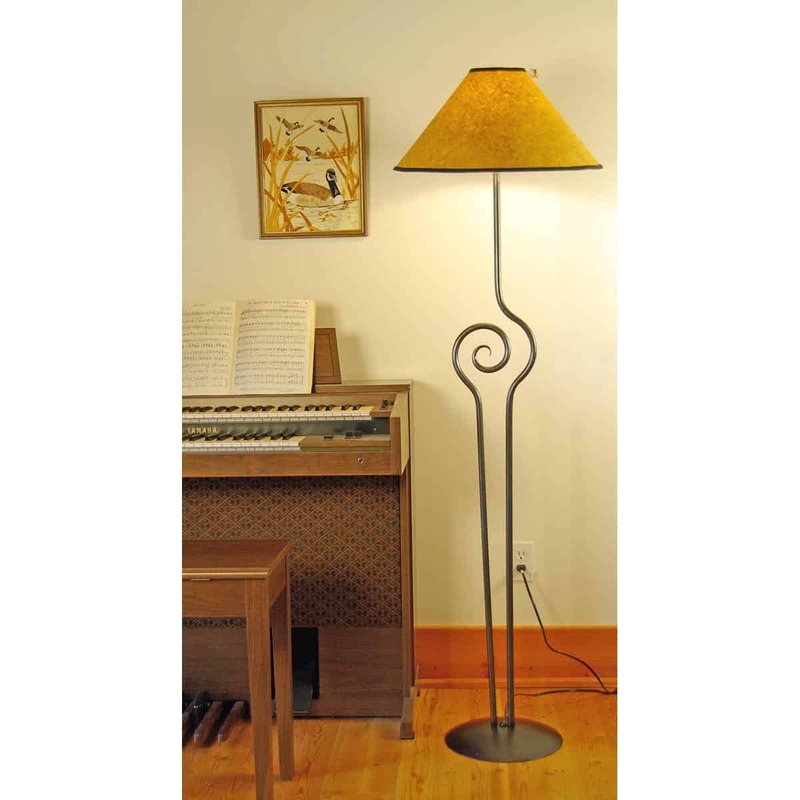 All of our lamps are supplied with a harp and finial knob. 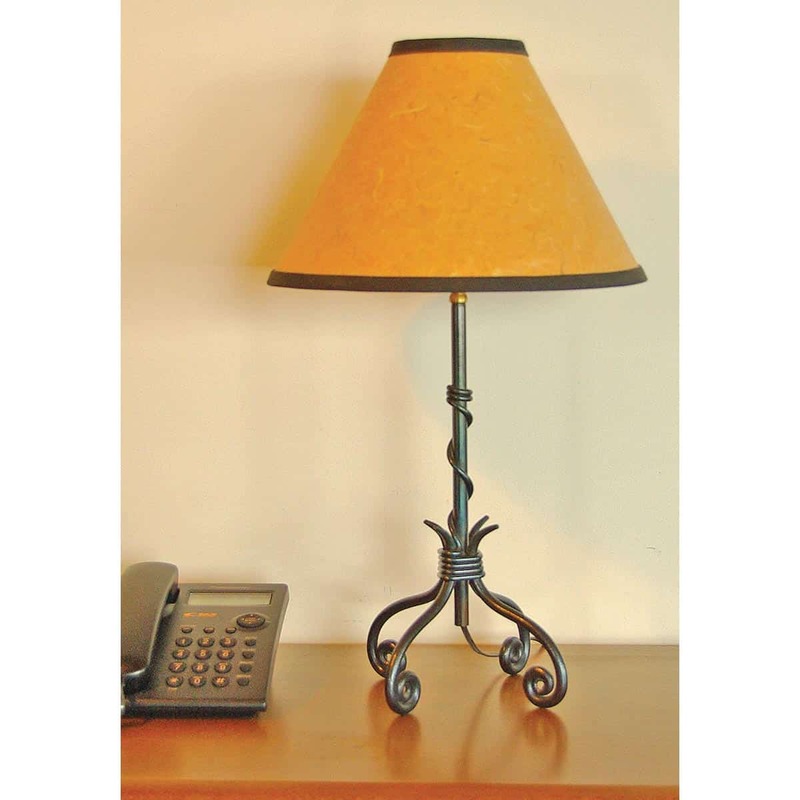 Heights given are for lamps with shades on them. 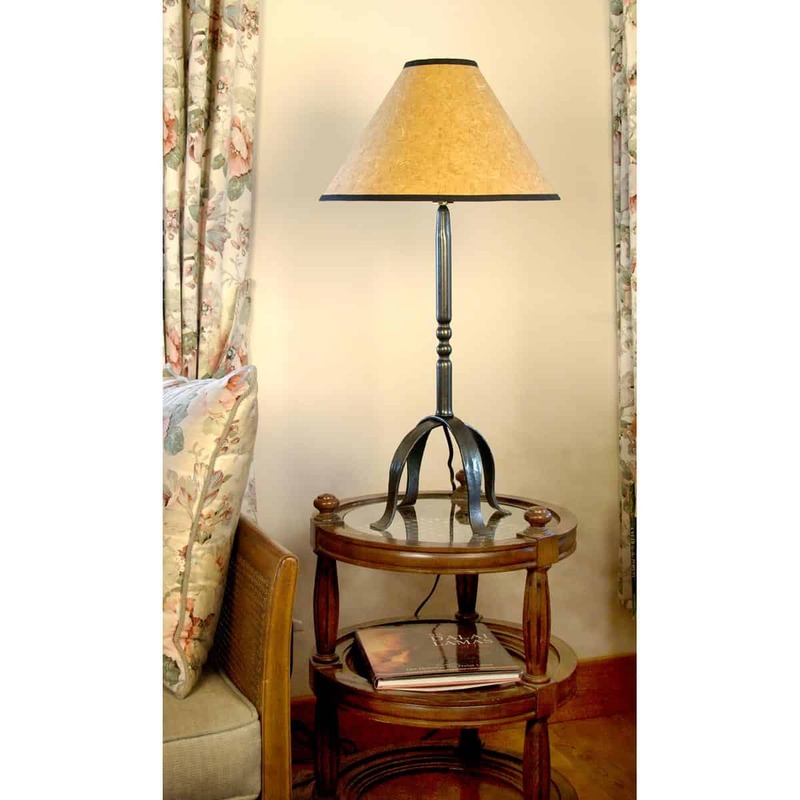 Our Floor and Table lamps are rated for tri-light regular (type A) bulbs up to 150 Watts, or compact fluorescent equivalent bulbs. 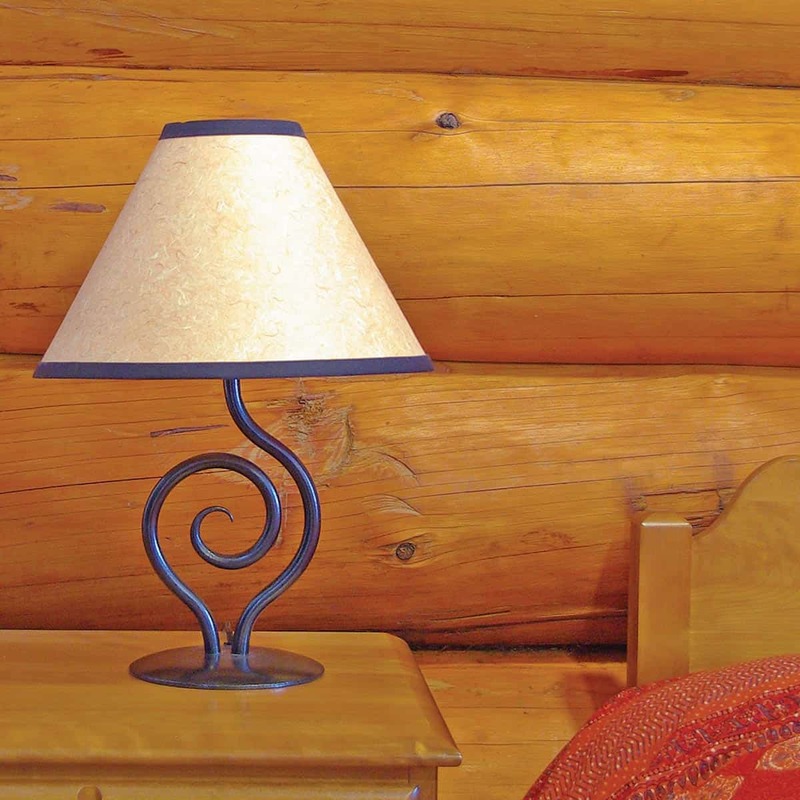 Our Bedside lamps are rated for 100 watt regular (type A) bulbs or compact fluorescent equivalent bulbs. 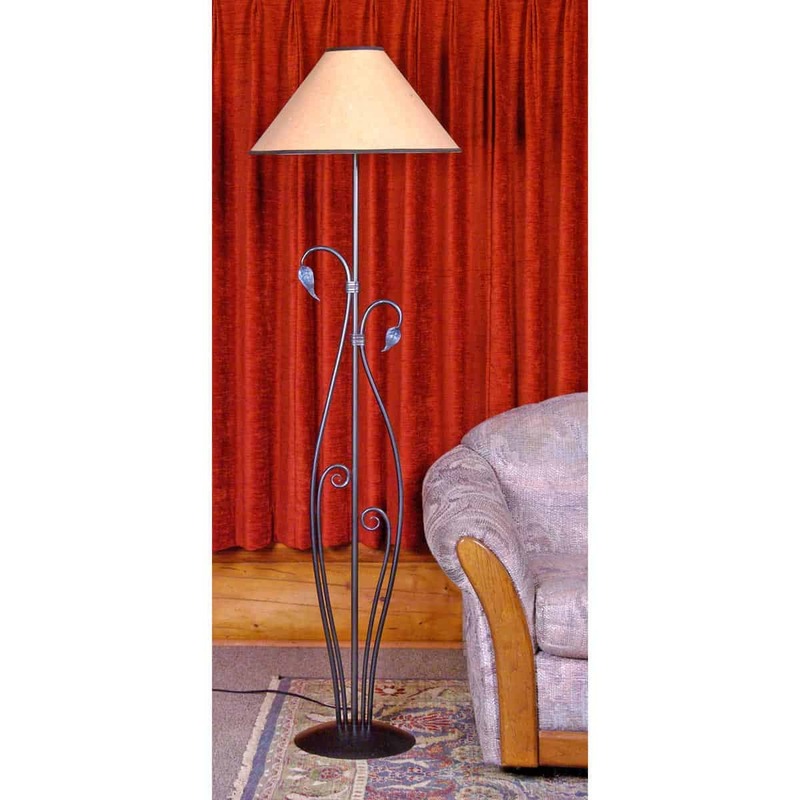 PLEASE NOTE: Lampshades are sold separately from the lamps, and are not included in the prices of the lamps.